Bar Starz now available to watch through Video on Demand! 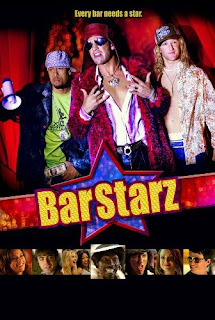 It has been a long time coming, but now you can finally watch one of the first movies that Jelynn ever made, Bar Starz! Released on a limited basis in 2008, this indie comedy explores the adventures of some seriously odd club denizens. Bar Starz is not yet available on DVD or Blu-Ray, but earlier this month it became available on many Video on Demand websites and cable television providers. Don't miss this opportunity to see Jelynn in one of her first acting roles ever, and tell your friends! Also, check your cable/satellite provider's video on demand or pay per view section. According to Gravitas Ventures, these providers should have Bar Starz: Charter, AT&T, Rogers, Verizon, Insight, Cogeco, Mediacom, and Sudden Link. Dont forget, you can also purchase Jelynn's other movies and tv shows available through Amazon. You can even stream your purchases to your internet-connected Tivo!